Jessica Getz is a Partner at AXIA Partners with over 20 years experience in Energy, Oil & Gas, Health Care, Banking, Manufacturing Energy, and Racing/Gaming. Jessica has provided a wide range of Technology Risk/Internal Audit services to clients that include IT SOX implementations (design, documentation, implementation and testing) and project management, as well as internal audit, general IT consulting and risk management. She manages the Information Technology practice at AXIA. Since joining AXIA in 2005, Jessica has been accountable for the execution and management of AXIA’s IT Compliance practice and client relationships, which includes the development of AXIA’s SOX IT methodology and management reporting tools. 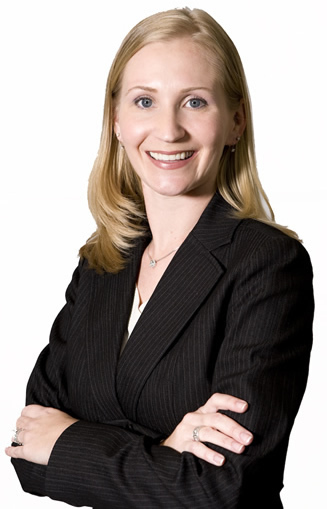 She has led all of AXIA’s Sarbanes-Oxley IT compliance initiatives. Her responsibilities in these roles have included: design, documentation, testing, interfacing with executive management and Audit Committees from project set-up to final Audit Committee reporting, project planning and management, liaising with external auditors as client advocate, review and delivery of final product with analysis of results and creation of action plans. In addition, Jessica has implemented and managed a self-assessment for Sarbanes-Oxley IT controls. Prior to joining AXIA Partners, Jessica worked at Continental Airlines, Stewart & Stevenson and Deloitte, where she gained broad and diverse experience in IT auditing, IT consulting and Operational auditing. She led teams that provided IT control assessments and process improvements. Her work included identifying processes, analyzing areas of potential risk and identifying mitigating controls. Jessica has also managed and performed operational process and internal control reviews within multiple business cycles. Jessica earned a Bachelors of Business Administration degree in Management Information Systems from Texas A&M University and has earned certifications as a Certified Information Systems Auditor, Certified in Risk and Information Systems Control, and a Certified Fraud Examiner. She is a member of the Information Systems Audit, Control Association and Association of Certified Fraud Examiners, and Women’s Energy Network. Jessica also serves on the Advisory Council for SecureWorld Houston and the Governing Body for the Texas Technology Summit Houston.